Suction cups with large hook. Adams world's best. Adams giant suction cups with large hook will stick to glass or clean, dry, flat, slick/shiny, non porous, non textured surfaces like mirrors, glossy plastic or plain glazed ceramic tiles. available with a standard hook to hold 11kgs (25lbs). 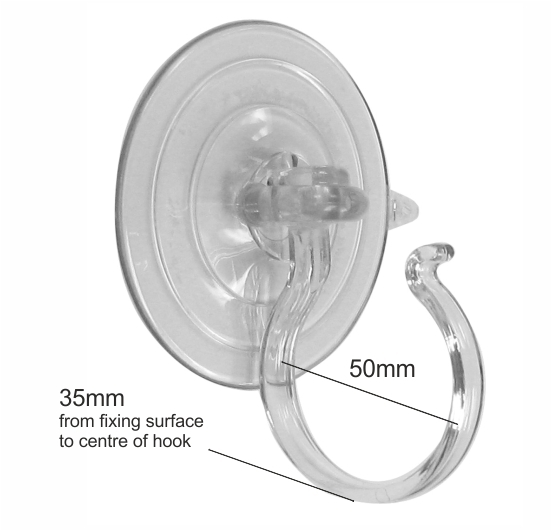 Use these suction cups with hooks in window displays or as Christmas wreath hooks. 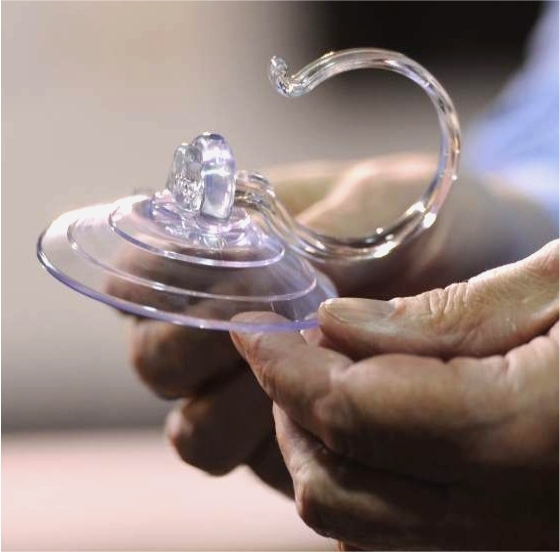 The strong clear Polycarbonate hook measures 48mm in diameter.